Perhaps the most surprising thing about Porsche’s grand unveiling of its first series production run of a recreation special edition is that the company didn’t get on it any sooner. The decision to build 77 GT2 RS-based 935 copies is, when you think about it, long overdue. For years Jaguar’s Classic Works has been doing the groundwork for and the ground-up construction of a number of continuation specials, like the jaw-dropping D-Type and sweetly curvaceous, compact XKSS. The prices have been eye-watering. Start at the £1 million mark and look upwards. Lamborghini has been doing it for a while, as well, building totally restyled special editions based on existing chassis and selling them for vastly higher prices. 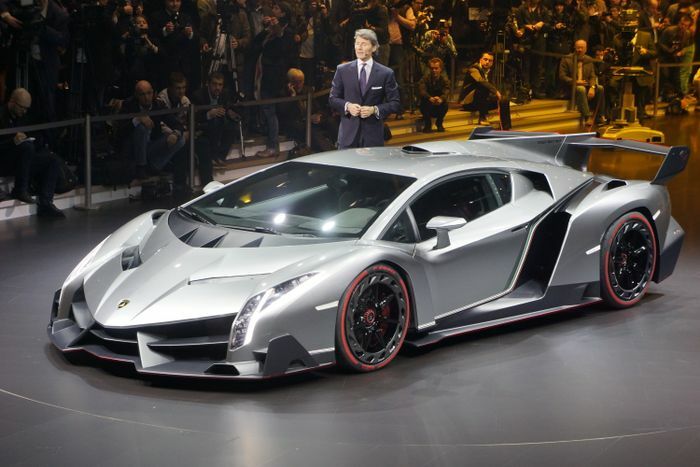 The Centenario and the Veneno – both based on the Aventador, surfaced three and six years ago respectively. Lately it’s getting even more common. David Brown is doing his thing to create the Speedback with vaguely Aston Martin-esque styling and modern, naughty Jaguar oily bits. 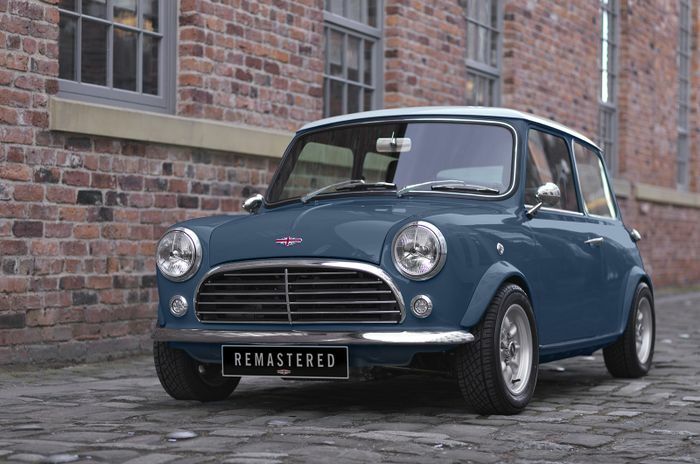 The same chaps will sell you a fully modernised and totally new classic Mini for up to £70,000. Aston Martin itself is building a clutch of Bond-spec DB5s with working gadgets. Even Ferrari has been stepping into the game. Remember 2016’s J50, the 488-based special edition sold only in Japan? Just 10 were built but it’s still a series-produced model. Then there’s the SP1 and SP2, the first of the Icone range of concepts-made-real that blend retro-inspired styling with the high-revving underbellies of Ferrari’s meatiest contemporary metal. 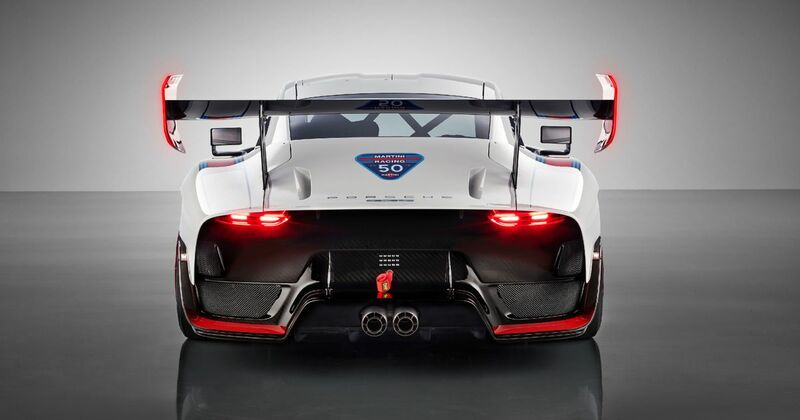 So, then, Porsche is late to the party. 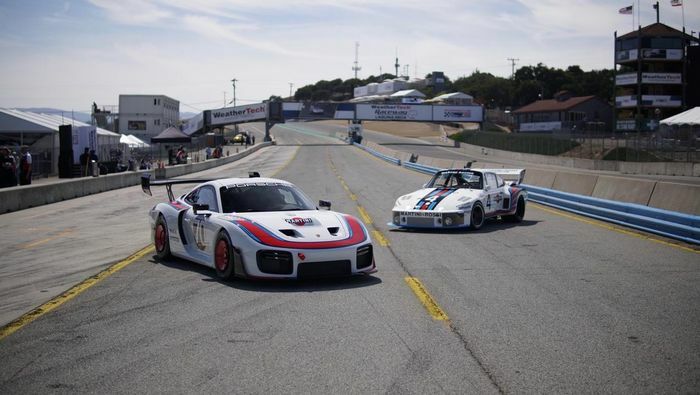 But what an entrance; the new 935 may be deliberately different to the original but it blends the classic and the current just like our own memories tend to, bending the details to suit today’s trends. As starting points go, it’ll be hard to top. Still, we can dream, can’t we? Take a brief dalliance through Porsche’s back-catalogue and savour possibilities that are tantalisingly – for now – out of reach. A 356 body on a Boxster Spyder chassis, perhaps? 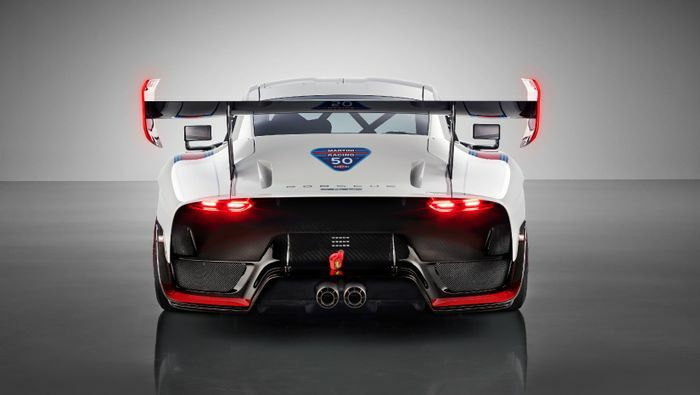 A 917-esque shell designed over a V8 hybrid setup taken from the 918 Spyder? Maybe even a Carrera RS 2.7, all tight and purposeful, but with more muscular panels and performance donated by a manual GT3? I think I need a cushion. Some purists will argue, fairly, that the more of these modern copies or reimaginings car makers build, the more they risk devaluing both the copy and the original in the long run. It could potentially muddy the original’s reputation if the copy is so faithful that few can tell the difference, as happens with the Ferrari 250 GTO, whose near-exact copies are maybe almost as numerous as the real things. On the other hand, the world is moving into a period where it’s no longer possible to build cars the way they once were. Porsche knows it. Its decision to recall days of glory gone by comes at a significant time, just as it prepares to start its gradual switch to electric power. You could almost see the 935 as the antitheses of the Taycan, and for that we love it even more. 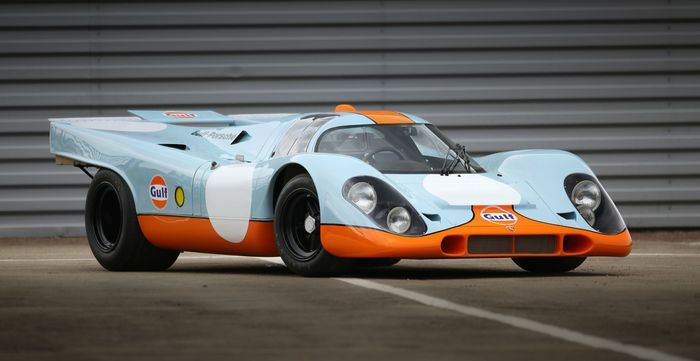 Porsche may be late to the retro party but it sure as hell knows how to make an entrance.